This short text, ideal for Social Problems and Criminal Justice courses, examines the American prison system, its conditions, and its impact on society. 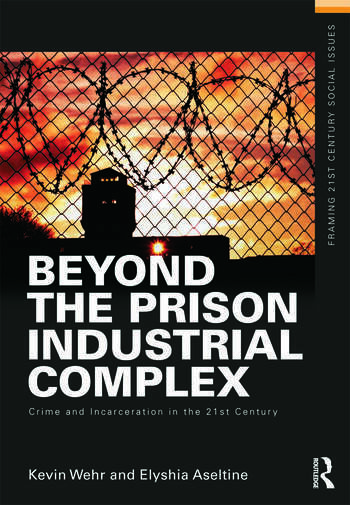 Wehr and Aseltine define the prison industrial complex and explain how the current prison system is a contemporary social problem. They conclude by using California as a case study, and propose alternatives and alterations to the prison system. Kevin Wehr is associate professor of Sociology at the California State University, Sacramento, where he specializes in criminology and environmental and cultural sociology. He received his PhD in 2002 and his MS in 1998 from the University of Wisconsin, Madison, and his BA in 1994 from the University of California Santa Cruz. His other works include America’s Fight over Water: The Environmental and Political Effects of Large-Scale Water Systems, Hermes on Two Wheels: The Sociology of Bicycle Messengers, and DIY: The Search for Control and Self-Reliance in the 21st Century. Elyshia Aseltine is an assistant professor in the Department of Sociology, Anthropology, and Criminal Justice at Towson University in Maryland. Her research focuses on punishment and inequality in the United States and Africa.